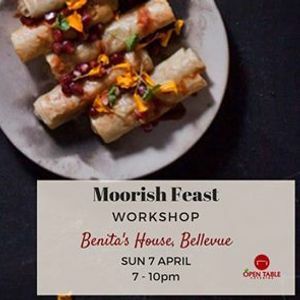 Moorish food is incredibly diverse, thanks to its influences with many cultures and nations over the centuries, including Berber, Morocco, Arabia, Spain, North Africa and the Mediterranean. To understand new ingredients and flavour combinations, all that is really required is a sense of adventure. 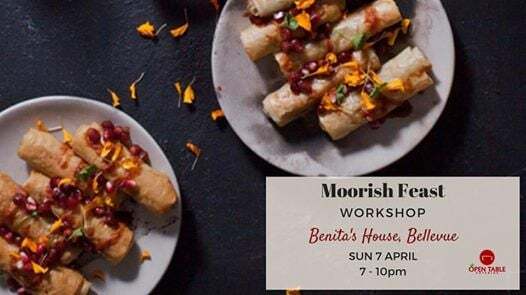 Together we will journey through the creation of an authentic Moorish banquet, learning how to approach this wonderful cuisine with thousands of years of cultural tradition behind it. The banquet will include dishes for daily use and special occasions. From the basics of spice combinations and selection to fundamental condiments essential for this type of cooking, to substantial key pieces for our table. In the class, we will also discuss condiments such as marinated olives, chutneys, preserved lemon and their complimentary dishes. The delectable sweet selection will be the creme de resistance. This class is non-refundable, but is transferable (with 2 weeks notice from original cooking class date).